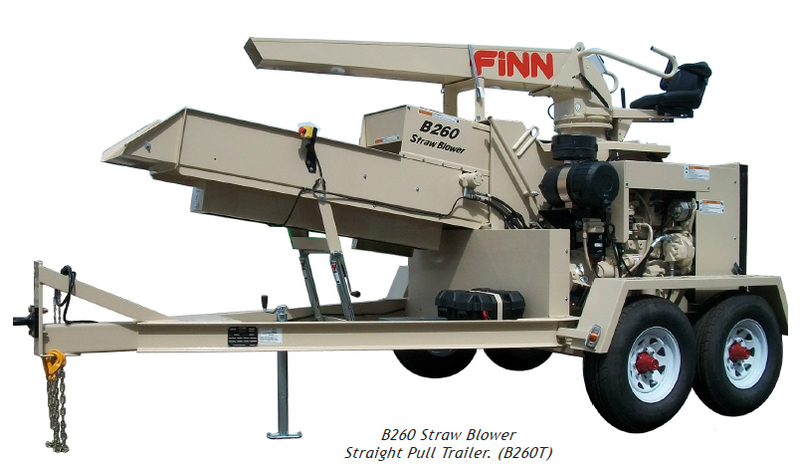 The FINN B260 Straw Blower is designed for maximum performance and operator convenience. 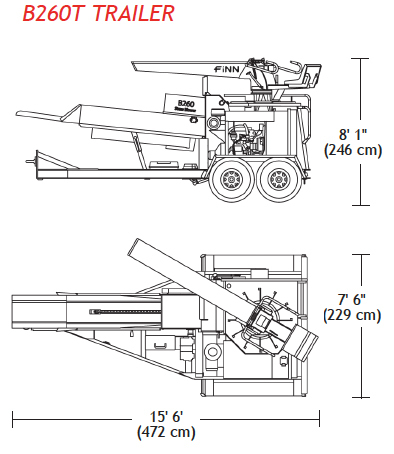 It is widely considered the standard by which all straw and hay mulching equipment should be measured. With the highest material capacity in the industry (up to 20 tons/hour), the B260 handles the toughest material while performing at high levels of production and dependability. The B260 is the Straw Blower of choice for mine reclamation, highway construction, and large commercial sites. The B260 is the result of extensive research, field testing, and, most importantly, customer input. We asked the people that mean the most – the people who can quickly evaluate equipment as soon as they put it to the test on the job. We heard, “Give us a Straw Blower that gives the most for our equipment dollars.” With many features you just won’t find on other Straw Blowers, the B260 delivers. The B260 Straw Blower features a John Deere Tier III turbo-charged diesel engine, coupled with a heavy-duty over-center clutch to provide smooth, high torque power to the blower. All controls are easily accessible from the operator’s seat, including the new digital engine information display. The discharge tube has been designed to provide superior air flow, providing maximum discharge distance. The field-proven operator-controlled hydraulic (variable speed) power feed system is designed for reliable performance throughout the life of the machine. Its design eliminates the need for an extra person to hand feed, providing significant labor savings. As the world leader for over 80 years in the design and manufacture of innovative, quality equipment for the erosion control industry, FINN Corporation is committed to your complete satisfaction. FINN Design® Logo is a trademark of FINN Corporation.